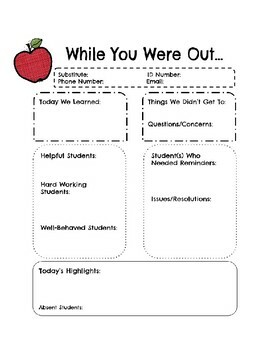 Need to leave a note for a teacher who's been away for the day? Look no further than this detailed outline! No more scribbling notes down on a sticky note or scrap paper. Look professional and organized with this simple sheet.